You Are Here: Home » High Index Lenses » What are High Index Lenses? Choosing the right eyewear can be difficult. You have to make a smart decisions, but so many variables seem technical or difficult to understand. It’s sometimes impossible to sift through all the jargon and find the glasses that you actually need and that benefits your eyes the most. That’s why, as you research your options, you may find yourself asking a simple questions: why should you get high index lenses in the first place? You find merchants and eye doctors alike pushing them as beneficial. But are they actually helpful? What do they accomplish, how are they different from ‘regular’ eyewear, and are they worth the investment? All of these are certainly valid questions to ask. After all, you’re investing both money and confidence into the fact that the lenses you pick actually help your eyes to the highest possible degree. Still, it’s reassuring to note that yes – you should get high index lenses if you can and if the situation is right. Allow us to explain why. After a short definition of what type of lens we’re talking about to begin with, we will dive into the reasons why you should get high index lenses and how you can get started in the process of finding the right pair for your needs. Eyeglass lenses correct refractive errors by bending (refracting) light as it passes through the lens. The amount of light-bending ability (lens power) that’s needed to provide good vision is indicated on the eyeglass prescription provided by your eye doctor. Regular glass or plastic lenses for high amounts of nearsightedness or farsightedness can be quite thick and heavy. (For high index lenses), less material can be used in high-index lenses to correct the same amount of refractive error, which makes high-index plastic lenses both thinner and lighter than conventional glass or plastic lenses. Because of the way they’re manufactured, and the materials used, high index lenses are significantly thinner than their more common alternatives. That only magnifies, the stronger your prescription gets. Especially as you need strong prescriptions with advanced age, high index lenses are the perfect choice to make sure your glasses don’t get extremely thick. The reason these lenses can be thinner is because of the way they bend light. The differences are especially strong for people who suffer from near-sightedness, and are more pronounced at the lens edges. In other words, most other materials simply cannot accommodate that need. If you want thinner lenses even with strong prescriptions, high index options are your only option. Next, it makes sense to consider just why thinner lenses actually matter. Naturally, not needing as much materials as you would for a regular pair of lenses also means that they will be lighter. Not only is the material itself ideal for most needs, but you also need less of it – naturally reducing its weight. Especially individuals who are used to wearing glasses will know that every time your prescription changes, you need to adjust to a new pair of glasses. The different (and often increased) weight is a crucial but often overlooked aspect of that adjustment. Lighter lenses mean you can take that out of the equation, making for a more natural transition as a result. How much lighter are high index lenses? The answer naturally depends on both their strength and your prescription. In total, they can reduce weight by more than 50 percent. In fact, more than one of the below benefits have a direct connection to this benefit of lower weight, which is in turn a result of the lens thickness. When you wear glasses, you have to make sure they’re comfortable. After all, and in most cases, you will need to wear them for hours at a time, and often the entire day. Especially in situations like work or driving, you cannot take the risk of wanting to take them off just to give your eyes, ears, and nose a rest. Picking comfortable glasses, of course, depends at least in part on the frame that you choose. At the same time, that is not the only consideration. Heavy lenses can also contribute to your nose getting sore or feeling fatigued over time. That’s the first way in which the decreased weight of high index lenses makes a significant impact. Your nose ultimately carries the weight of your glasses. If the lenses get thicker, they get heavier. And when they do, they tend to get uncomfortable. Thinner, lighter lenses may not be top of mind as you pick out the right option initially. But down the road, once you begin to wear them, this will become a significant advantage. Naturally, you buy eyewear to be able to see clearly. But in the process, you can also add a few supplemental benefits to your lenses that ultimately improve your life and health. Perhaps the most important of them is UV protection, which prevents harmful rays from entering your eyes and can keep your eyes healthy for longer. That’s why so many manufacturers and merchants no offer UV protection as an add-on to any lens you choose. With high index lenses, you don’t have that problem. The material tends to have built-in protection of the same type, which means that anytime you choose it, you can make sure that your eyes remain protected from harm when you wear them. This becomes especially beneficial if you frequently spend time outside. Whether you work outside or simply like to spend time in the sun, you still need to make sure that you can protect yourself. What better option to do that than a pair of glasses that takes care of the issue for you dynamically? Last, but certainly not least, don’t underestimate the benefits of high index lenses for your personal sense of fashion and style. Put simply, as your prescription begins to get stronger, your glasses tend to become less attractive. As lenses get thicker, you have to begin worrying about how these glasses actually look for your professional or personal look. Because they’re thinner, high index lenses don’t have that issue. They have to bend less to achieve the same level of prescription, which means that your eyes will not show as magnified or minimized even with strong lenses. Instead, they look much more like the lens you expect and look for when you first realize you need glasses. That impact also affects the types of frames you can get. Some of the most fashionable frames don’t support thick lenses, and become unavailable as your prescription increases in strength. But high index lenses continue to fit these frames, making sure that you can have your pick and make your glasses as fashionable as you want and need them to be. 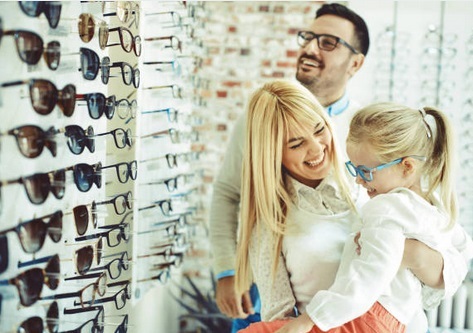 Given these benefits, getting high index glasses should be high on your list – especially if you have a strong prescription and need to adjust accordingly. But at the same time, that doesn’t mean you should simply choose any option or even the cheapest version just to take advantage of the above benefits. Instead, you need to be strategic. First, that means finding the right merchant for your needs. You may prefer an in-person option, but online merchants are often more affordable and offer a greater selection. As a result, you tend to become more likely to find exactly what you’re looking for in the perfect lenses and frames. 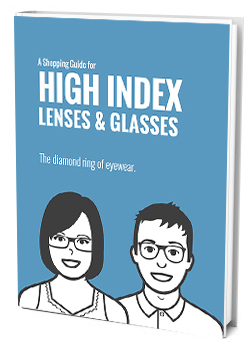 Second, understand the various types of high index lenses available to you. The materials and strength can vary, and may become more or less relevant for you based on your current prescription. Talk to your eye doctor about your options to get expert advice on just the right type of lenses for your needs. Finally, consider whether you want to add any supplemental options such as additional coatings to your lenses. You will have to select yes or no on each of them at the point of purchase, so it pays to do your research first. Anti-reflective coating, for instance, makes perfect sense if you do a lot of night driving. Ultimately, you need to find eyewear that’s just right for you. High index lenses might just be that option, as long as you know exactly what you’re looking for.